Adjacent to the Ala Moana Shopping Center, this hotel features a pool and sundeck and Rumours Nightclub. Located on Waikiki Beach, this hotel features 2 acres of exotic plants and flowers, pools, and waterfalls. This is the only all-suite hotel in downtown Honolulu. The only all-suite hotel in downtown Honolulu, the Aston offers free continental breakfast in its 40th-floor lounge. 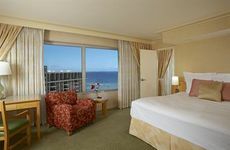 This hotel is located in the heart of the Waikiki Beach Walk, featuring more than 40 shops, galleries, and restaurants. This hotel is located 2 blocks from the beach and just minutes from the Honolulu Zoo and Aquarium. A short distance from the beach, The Modern Honolulu features a full service spa, outdoor pool and on-site dining. Set on Waikiki Beach, the Hale Koa Hotel offers multiple dining options including a poolside bar and a beach snack cart. Just a block from Waikiki Beach, Aston at the Waikiki Banyan features a swimming pool and a picnic area with grills. A short walk from Waikiki Beach, the Outrigger Luana Waikiki features a secluded outdoor pool and barbeque grills. Family-friendly hotel near the beach and attractions, featuring kitchens, outdoor pool, sundeck, and onsite restaurant. A boutique hotel with unobstructed views of the ocean, steps from Waikiki beach. Condo resort located 3 blocks from Waikiki beach, featuring a rooftop pool, private balconies and in-unit kitchens. Luxury hotel overlooking Waikiki beach, featuring full kitchens, private balconies, and an outdoor pool and sundeck.